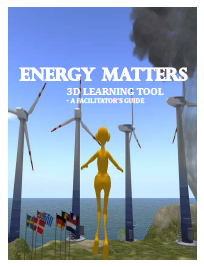 Try your EnergyMatters material to learn about energy and CO2. Or have students design 3D models together with students from any school in the world to learn language skills. Learn how to empower students to get their attention and use the future workshop method were you as teacher are a mentor on the students individual learning path. 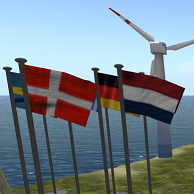 Oligo Academy delivers courses for teachers, affordable on demand hosting and virtual world tools for teachers and students to make using virtual worlds in education simple. Sustainable energy matters not only because of CO2 effects that brings climate changes, but energy is a central resource of financial growth, food production and living standards. 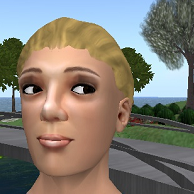 Why use virtual worlds in education? 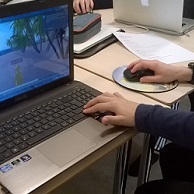 Virtual worlds can create a fun and immersive learning experience, where students can follow their individual learning paths. But virtual worlds can do more than this, it can be a learning space for students from schools all over the world, to meet people and learn about languages and cultures, by building 3D models or just having fun togetter. Virtual worlds support both text based chat and voice communication, so both reading, writing and spoken languages skills can be trained.